I have adapted this recipe from a recipe my friend Mai described to me. The curry powder and the tomato puree add another delicious layer to this excellent dish. Wash the daal and rinse it, cover with at leat 2cm of water and bring to a boil. 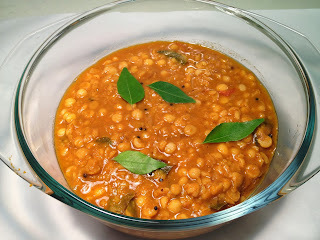 Boil the daal on high heat for 2 minutes then simmer until it is soft, stirring and adding more water as necessary. 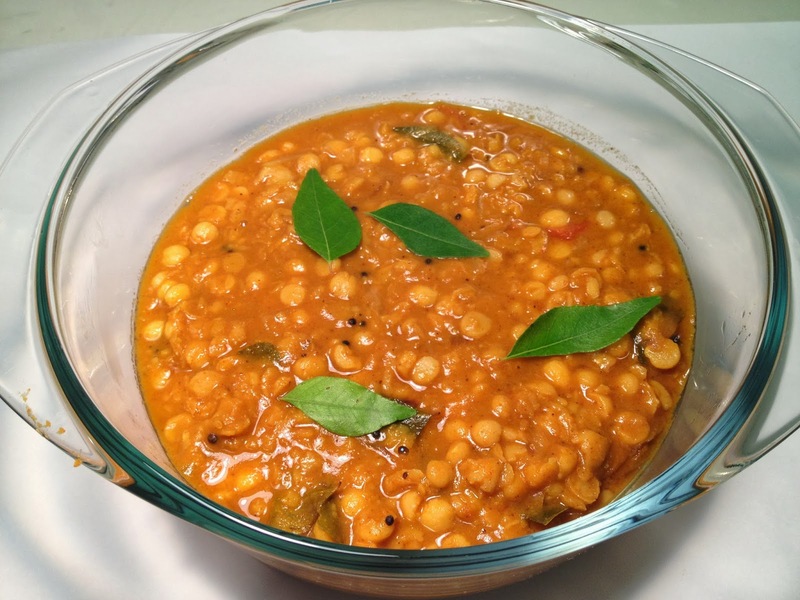 The daal will thicken naturally as it cooks, so adjust the water until you have the right consistency. I like mine quite runny. Once ready, remove from the heat and cover. Heat the oil until it is hot then add the garlic, shallots, cumin, mustard seeds and chilli and stir. Take care not to burn the garlic or it will taste bitter. Once the onion is cooked, stir in the curry powder and stir-fry it for a minute, then add the tomato puree. Stir to mix and then add the whole lot into the pan of daal and mix well. Adjust for taste with salt and serve. Serving: I like to serve daal with roti bread or plain steamed rice.